Sweet CherryHead candies. There are 24, .08oz boxes per box. 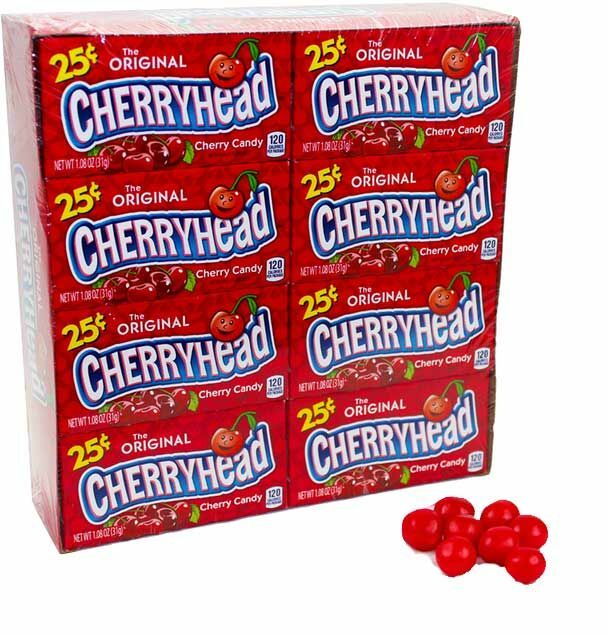 Each box is pre priced at 25 cents. This cherry fruit candy is made with real fruit juice and is fat free!